As some of you might know, a few weeks ago I wrote a post on Y/A fiction and how I was struggling to find a really good fantasy series to get my teeth into (see more here). Since then, having followed some suggestions and done a little research of my own, I’ve read the first few books of a couple of major young adult series. One of these I really enjoyed – despite the fact that on paper it may not have seemed like my kind of book – and the other I think could definitely have been done better. With this in mind, I thought I’d do a quick comparison of the two. 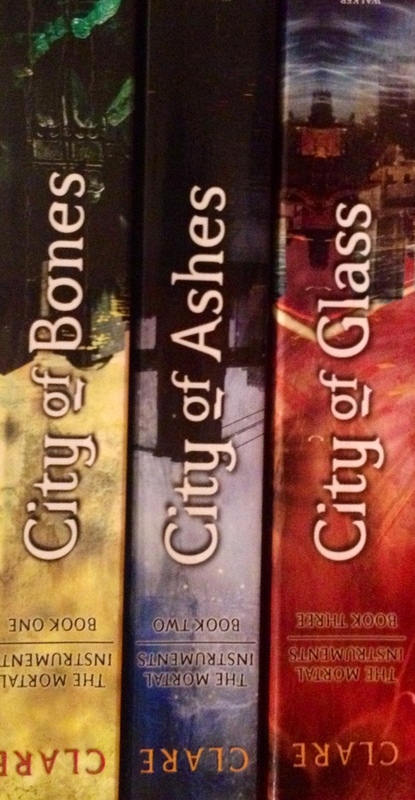 First off, I took on the first three books of the Mortal Instruments series by Cassandra Clare – City of Bones, City of Ashes and City of Glass. These books were originally intended as a trilogy, with a complete story that reaches a resolution at the end of the third novel, so this was a natural place to stop. Next, I moved on to the first two books of a planned trilogy by Rae Carson, The Girl of Fire and Thorns and The Crown of Embers. In terms of storylines, the Mortal Instruments story was the one that appealed the most on paper. It follows sixteen-year-old Clary Fray, a normal girl living in New York. One night, her mother disappears and she’s plunged into a world of demons, Shadowhunters, vampires and warlocks. I won’t go into too much detail on the specifics to avoid spoilers, but there’s a brooding male lead, forbidden love, an arch nemesis and some complicated family dynamics. While the author’s storylines are fairly imaginative, I felt that the characters were really underdeveloped. Jace, Clary’s complicated love interest, was incredibly stereotypical. He’s arrogant and good looking with some serious issues to be resolved but so inexplicably drawn to the main character that she’s the only one that can really ‘reach’ him. The other male in the love triangle, Simon, is a typical boy-who-is-just-a-friend that turns into more, and I didn’t think he was particularly likeable. Clary herself is supposed to be likeable but I just couldn’t connect with her as a character. One of my main criticisms of Y/A fiction is that I feel the writing can let them down. The Mortal Instruments is a case in point. I may not have been quite so overly critical of the character development if the writing had not also been stilted and slightly wooden. The dialogue didn’t flow, the descriptions were clichéd and the relationships unbelievable. Written with a bit more care, I think this series could have had some real potential, but as it is, I won’t be buying the next three books in the series. 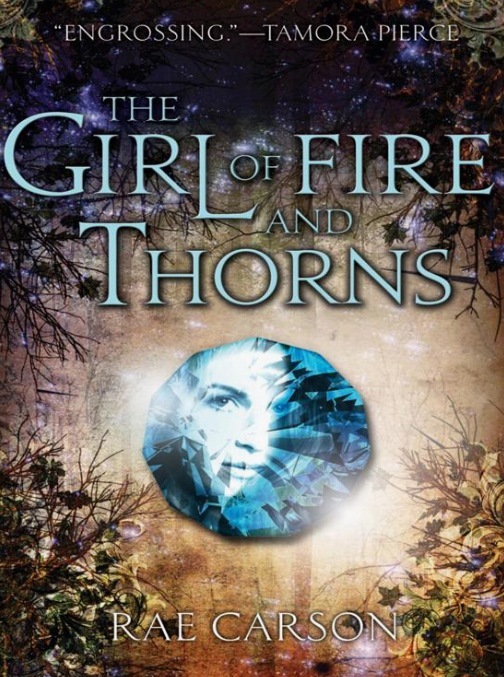 The Girl of Fire and Thorns, on the other hand was an example of a book I felt was written really well, so much so that even though I didn’t particularly enjoy the central premise of the novels, I went on to read the second book in the series. I read these on a recommendation, without researching them too heavily beforehand. However, fairly soon after starting the first book I realised that despite the fact it’s a fantasy novel set in a fantasy world, it’s heavily religious in its theme. It’s not something I’d usually buy but I persevered – and I’m glad I did. On her sixteenth birthday, Elisa is married to a prince of a neighbouring kingdom. She is also named in an ancient prophecy that marks out one person a century for life of greatness. But this prophecy also makes her a target, and with the realm facing increasing tension and civil war, Elisa is unwillingly drawn into the heart of the action. Like any good protagonist, Elisa undergoes a personal, and in this case a physical, transformation over the course of the book. However, this transformation was woven into the fabric of the book and it didn’t feel forced. There was also a great cast of supporting characters, and although I didn’t relate to some of them, this was purely because of the nature of their personalities rather than a lack of one. Both books have a strong fantasy and magical element as well as an intricate central love story. The difference, however, was in how they engaged me as a reader. While I’ll definitely be reading the last in Rae Carson’s trilogy, I won’t be taking on the next books in the Mortal Instruments series any time soon. This entry was posted in Fantasy, Y/A fiction and tagged book review, City of Bones, fantasy, fiction, Girl of Fire and Thorns, Mortal Instruments, Y/A. Bookmark the permalink. 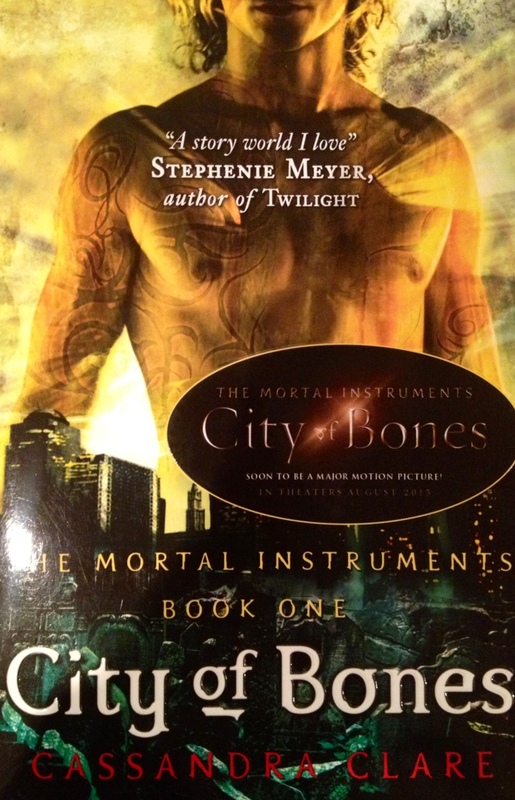 I’m currently reading City of Bones and had been wondering whether something was wrong with me as, unlike others, I think it’s good, but not great. I definitely agree with your reasoning about the characters being fairly stereotypical. I’m just glad no actual romance has happened yet, as I think I’d stop reading – I’m not in the mood for that at the moment – it’s everywhere! I’ll check out The Girl of Fire and Thorns though – that sounds interesting! Pingback: A review of ‘The Daughter of Smoke and Bone’ by Laini Taylor | SEEING. READING. THINKING. WRITING.